Mother Nature’s done her thing this summer, and those of us lucky enough to have fruit trees at our fingertips don’t have far to go to grab a bowlful of plums or a crisp rain-kissed apple. But what do you do when your trees are bearing more fruit than you can — or want — to eat? Well, you can always share with friends and neighbors, or bring a bag, box or bowlful into the office. Or, you can reach out to the broader community as Marc Ramirez explains in this story in the Seattle Times today profiling a new community resource: City Fruit. Our alkmene apple tree got a much-needed drink this morning. Thanks, Mother Nature! 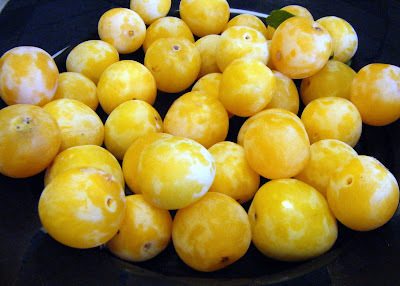 These sweet golden plums were ripe for the picking — in the Seattle office of KPLU last week. City Fruit’s volunteers help homeowners tend to trees whose excess can be used to help feed those in need, via food banks and other community outreach programs. In addition, the organization teaches food safety, pest control and pruning. The latter of which would come in very handy for some of us. GGW: our grapes gone wild. Again. But City Fruit’s not the only organization whose volunteers make it their business to shower the people with fresh fruit love. 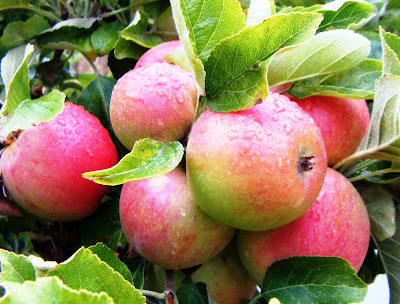 Solid Ground’s Community Fruit Tree Harvest — part of the non-profit’s Lettuce Link program — harvested and delivered over 14,000 pounds of apples, plums and pears from Seattle fruit trees in 2008 — later delivered to people with limited access to organic produce. They’re at it again this year harvesting through September, and you can help by donating time, pesticide-free fruit or money to support Solid Ground. What’s more, Lettuce Link is a great resource for gardeners looking to donate fresh produce to community members in need, and provides a direct line from you to them: a chart showing what to grow and where to give it. And hey, if you’re one of those do-it-yourselfers encouraged to organize a harvest project of your own, former Community Fruit Tree Harvest coordinator Gail Savina wrote the gift that keeps on giving: “Gather It! 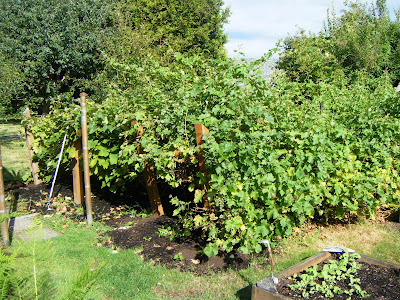 How to Organize an Urban Fruit Harvest” — downloadable here via Lettuce Link.